Holiday Roulette with grounded pork and crab sticks, its very juicy and yummy also. 1.) Wash, dry, peel and shred the onion. 2.) 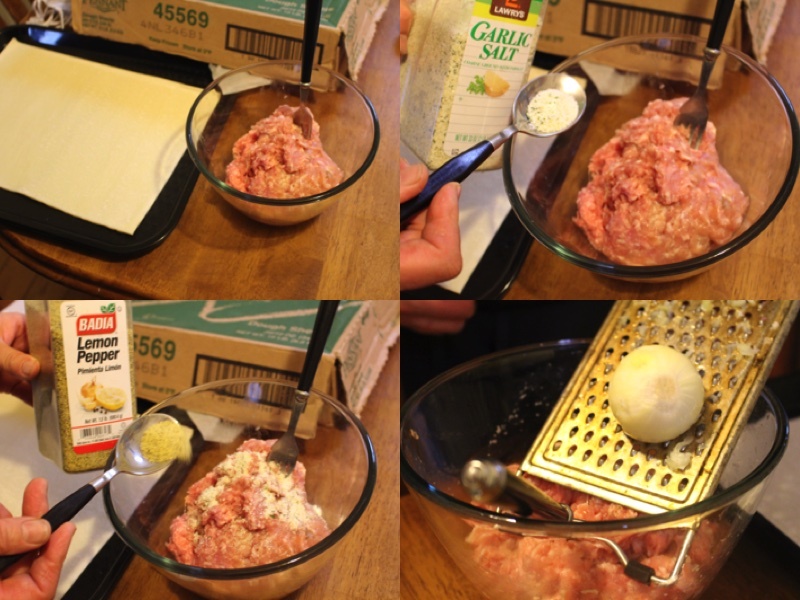 Add grounded pork, garlic salt, shredded onion and lemon pepper into a small bowl. Mix together well. 3.) 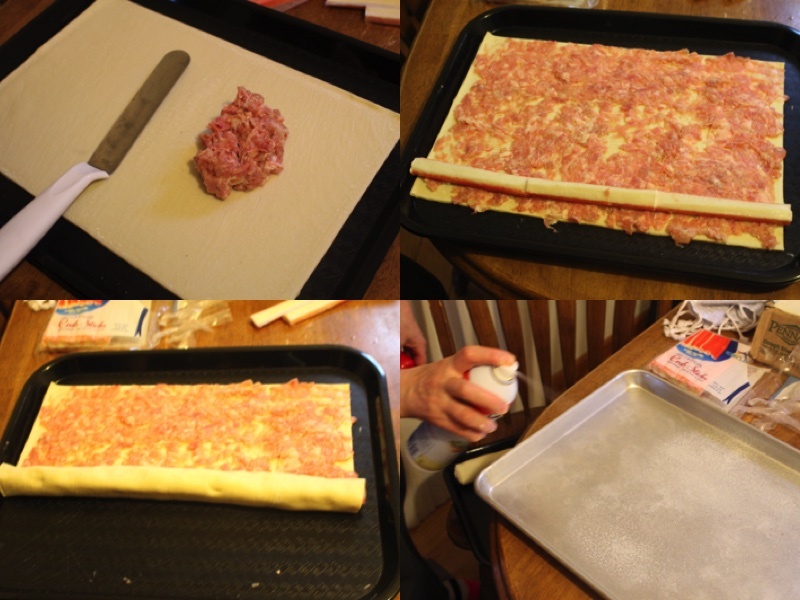 Put 1/2 of the meat mixture on each sheet of puff pastry ( Im making 2 portions). Spread the meat across the sheet equally with a spatula. place crab stick close to the end of the sheet and roll up into a tight roulette. Spray you pan with cooking spray. 4.) 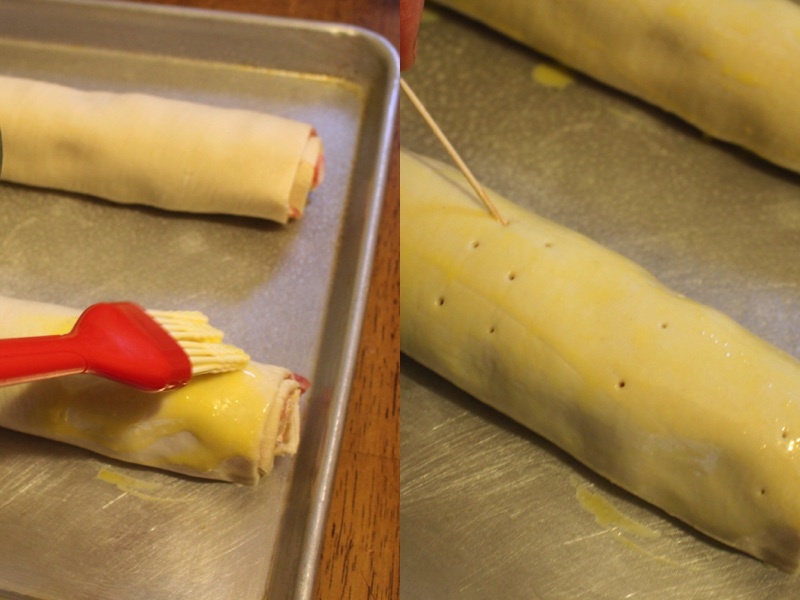 Place the roulettes onto the pan and coat with a beaded egg. Make small cuts with a knife or small indents with a tooth pick. Bake at 375F for 40min. 5.) Cut into even pieces and serve! Wash, dry, peel and shred the onion. 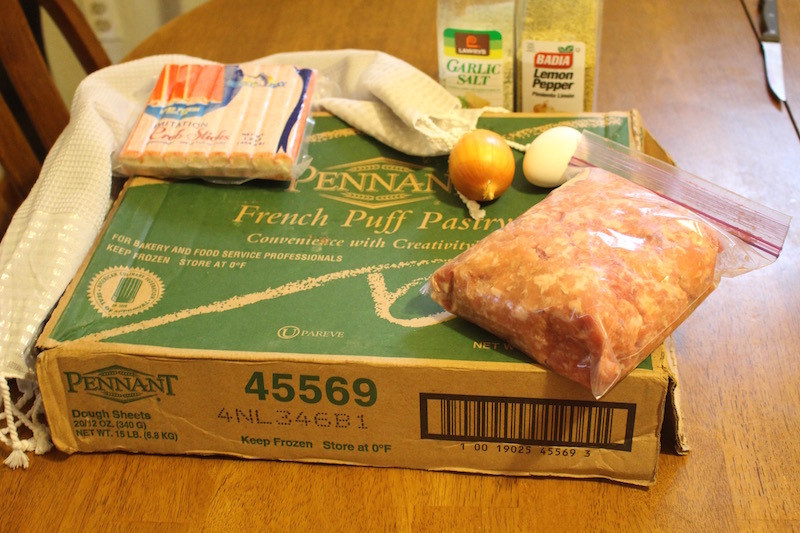 Add grounded pork, garlic salt, shredded onion and lemon pepper into a small bowl. Mix together well. 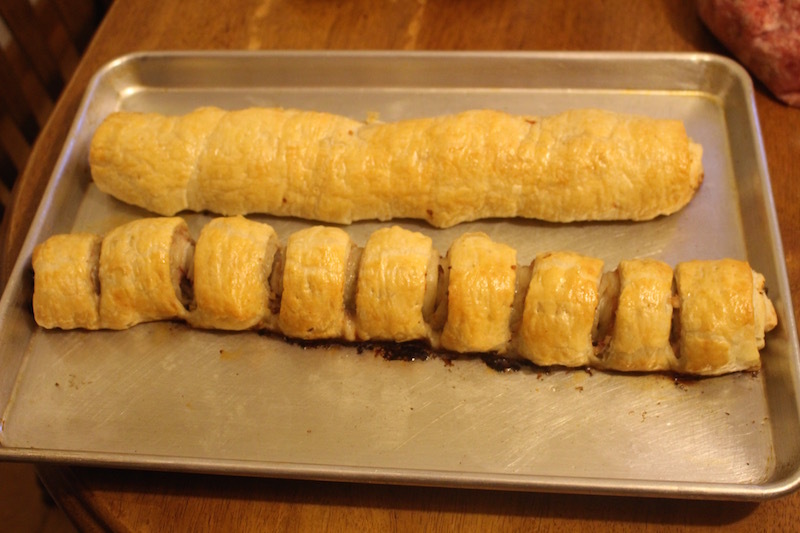 Put ½ of the meat mixture on each sheet of puff pastry ( Im making 2 portions). Spread the meat across the sheet equally with a spatula. 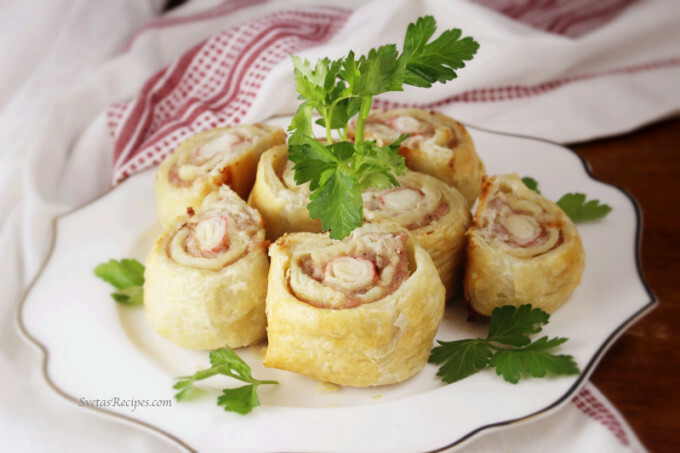 place crab stick close to the end of the sheet and roll up into a tight roulette. Spray you pan with cooking spray. Place the roulettes onto the pan and coat with a beaded egg. Make small cuts with a knife or small indents with a tooth pick. Bake at 375F for 40min. Cut into even pieces and serve!